Look around you for a moment. What do you see? Now let me ask you another question: What is seeing these things? If this were a game show, a loud buzzer would go off right about now—bzzzzt! Wrong answer. Actually all your eyes did was deliver to your brain the sensory input of light—of color and form. It was your mind that interpreted that data and “saw:” the dog’s water bowl. If you had had no previous experience of any of these shapes, if all of this sensory data were completely and utterly unfamiliar to you, you wouldn’t know what you were seeing. You would have no framework within which to plug the eye’s information. I went to seminary, and one of the things we learned to do in seminary was exegesis. “Exegesis” is one of those esoteric words theologians like to use that simply means interpreting a text. It comes from the Greek, and literally means “to lead out.” What it refers to is the process of reading a text without any prior assumptions about what it means, and letting the text—and whatever you know about the context in which it was written—tell you what it really means. The opposite of exegesis—and the thing we learned is a no-no—is eisegesis. Eisegesis is coming to the text with an agenda, an idea of what you want it to mean. And then—wonder of wonders!—that is exactly what you find in the text. What I want to suggest to you is that you are doing eisegesis all the time. Maybe not on texts (unless you are a clergyperson, a lawyer, a literary critic, or a historian), but I can guarantee you, you are doing eisegesis on your life, pretty much every minute of the day. You come at your experiences with a pre-conceived idea of what is true. We all do. And then—lo and behold!—that is exactly what you see. Based on the beliefs you have inherited, or those you’ve collected or assembled along the way, your mind bends the light, if you will, so that the data fits your assumptions. In other words, you create the world you see based on the categories you already know and the beliefs you hold to be true. Unless you are an enlightened being (and chances are slim you would be bothering to read this blog if you were), you almost never experience the raw data of your life. You only experience your mind’s interpretation of it. And here’s a really funny thing: the mind creates its world based on its beliefs, and then perceives itself to be fighting against the very world it has created. If we could really wake up to what we were doing we’d all be ROTFL. So all of this leads me to the “million-dollar question” (are you still ROTFL? ): Is there such a thing as pure exegesis? I mean, is it possible for us to stand with an open, un-programmed mind and see what is really true, not just our preconceived idea of reality? Yes. It is possible. It has happened to me, and it has probably happened to you, though perhaps just for the most fleeting instant. Such moments, when the preconceptions of the mind drop away, are what we mean when we talk about mysticism, or the experience of awakened consciousness. Some of the most powerful moments in my life have come when my mind’s interpretive framework had collapsed. What I had previously taken to be real was shown to be illusory. Concepts dissolved and I didn’t know anymore what to believe or what was true. Those were the moments when the blazing truth of Reality could pierce my mind, and in some cases drive me to my knees, weeping and in awe. What I saw in those moments had nothing to do with the sensory data my eyes were delivering. What I saw, and what I knew to be true, was that All is Love. And Love is All. Of course, my mind immediately set about making up some new categories for this information. It had to shield itself, after all, from the overwhelming presence of unmediated Love. The other thing those experiences taught me—something I often forget—is that whenever I “see” anything other than Love, I am eisegeting my life. I am filtering and bending the input so that it supports what I expect to see. 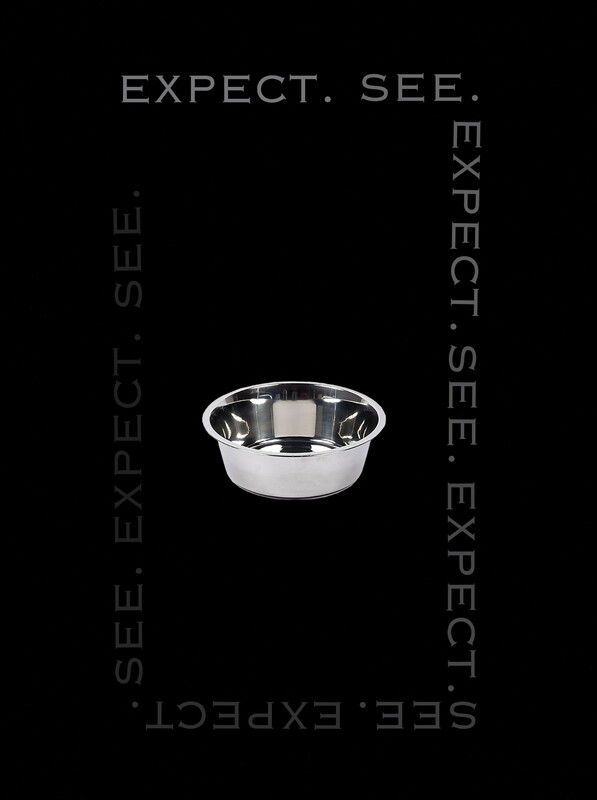 Then, rather than beholding the pure miracle of light sparkling on sentient matter, I simply see: the dog’s water bowl. Like what you read? Click the circle to subscribe. of the luscious red road. Not according to your good spouse!!! What you get is what you expect to see. Physicists today tell us of the observer principle. If they setup a test for particles, they catch particles. If they prepare a test for energy waves, those appear. It seems the human condition rarely provides a completely unbiased perception on most everything, therefore complete indifference to any of the possible outcomes is almost never achieved. BTW, please tell Patricia how please I am to see her blogging again. Hmm. I find myself agreeing with both of you fine fellows (and Kip, I *loved* the poetry). Ed, you’re so right. We do get what we expect to see (i.e. the physicist looking for particles finds particles). And then it goes a step further. Based on what we see (which is based on what we expected to see) we create a world that reflects the idea “particle,” thereby reinforcing our expectation that the world is made up of particles. Round and round it goes. . . all the way to the end of the luscious red road. Thanks to both of you for your wonderful engagement, and for pondering these questions with me.